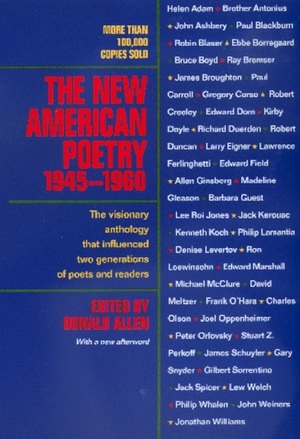 With more than 100,000 copies sold, The New American Poetry has become one of the most influential anthologies published in the United States since World War II. As one of the first counter-cultural collections of American verse, this volume fits in Robert Lowell's famous definition of the raw in American poetry. Many of the contributors once derided in the mainstream press of the period are now part of the postmodern canon: Olson, Duncan, Creeley, Guest, Ashbery, Ginsberg, Kerouac, Levertov, O'Hara, Snyder, Schuyler, and others. 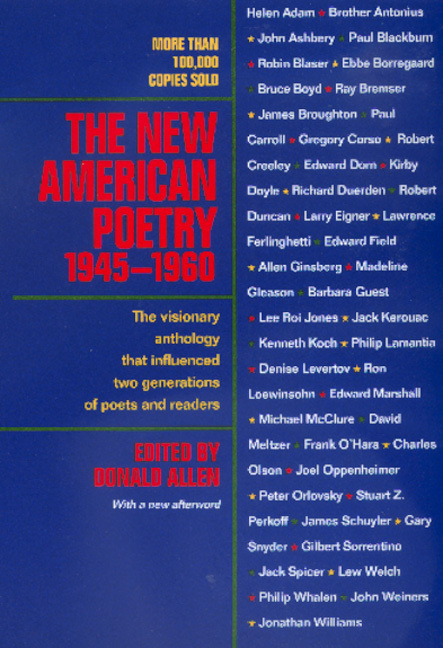 Donald Allen's The New American Poetry delivered the first taste of these remarkable poets, and the book has since become an invaluable historical and cultural record, now available again for a new generation of readers. Donald Allen (1912-2004) was the editor of The Collected Poems of Frank O'Hara (California, 1995) and coeditor of The Collected Prose of Charles Olson (California, 1997).